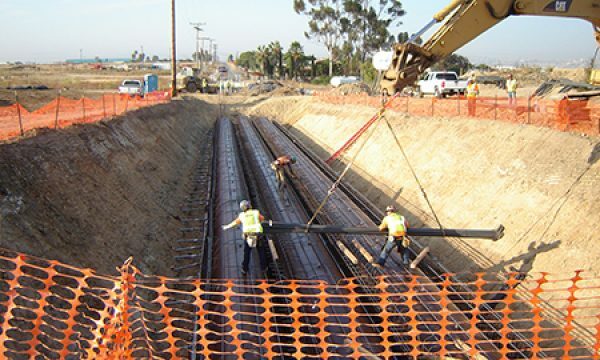 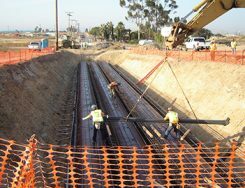 During construction of twin concrete-masonry lined steel sewer force mains below State Route 905 at Cactus Road in San Diego, black and odorous soil was observed by the Contractor. 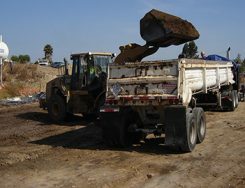 The Bodhi Group responded to the Contractor’s request for assistance by mobilizing to the site within an hour of receiving the call. 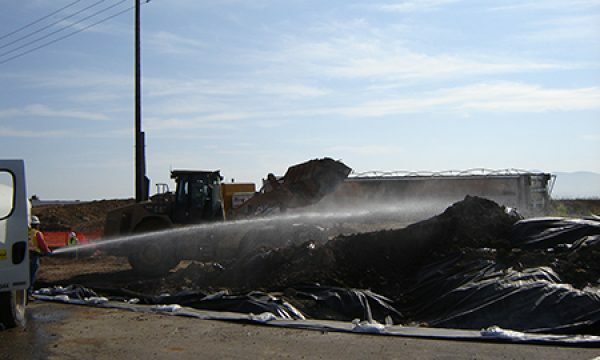 Based on chemical tests on samples collected by the Bodhi Group and the location of waste corresponding to an old and abandoned hazardous waste disposal site, the waste was confirmed as burned auto-shredder fluff. 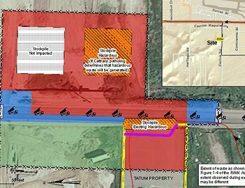 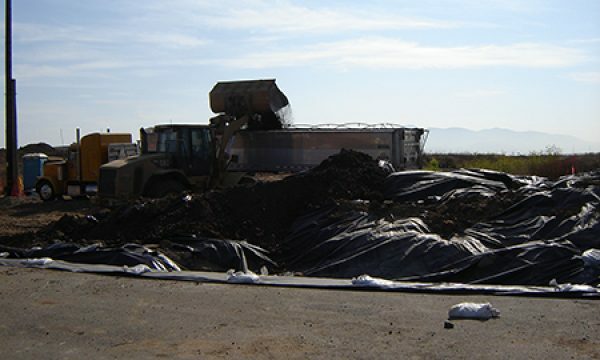 The waste contained hazardous waste levels of chemicals, including lead that required disposal at landfill that was permitted to received Resource Conservation Recovery Act (RCRA) hazardous waste (federal hazardous waste) landfill. 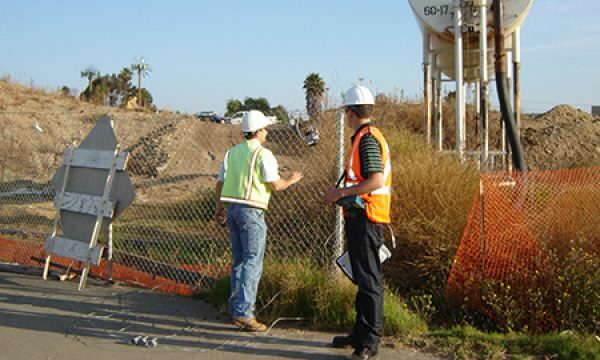 Prepared a Worker Health and Safety Plan, a Community Health and Safety Plan, a Soil Management Plan, and a request for Categorical Exemption from the California Environmental Quality Act for removal of the hazardous waste. 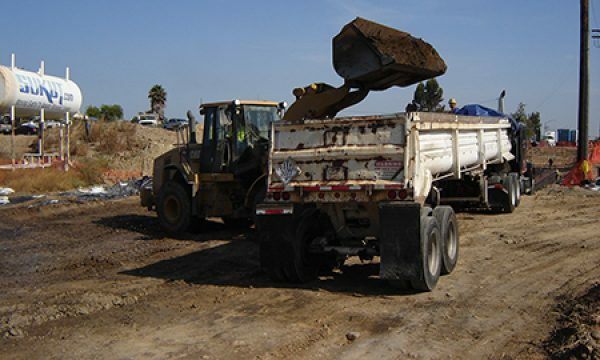 The plans were prepared and approved by the California Department of Transportation (Caltrans) and the City of San Diego Solid Waste Local Enforcement Agency in less than a week from discovery of the waste. 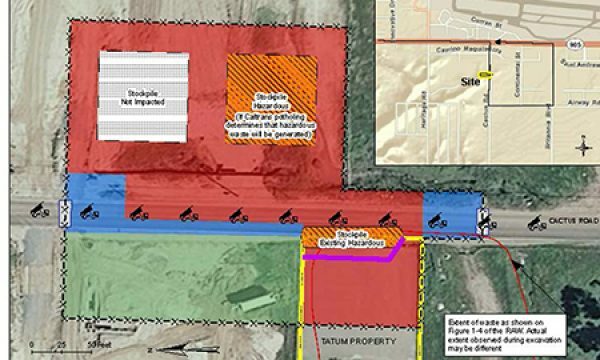 Sampled the hazardous waste stockpile using EPA methods that allowed for landfill disposal and avoided costly incineration of 100 tons of waste. 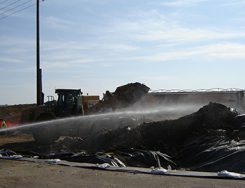 Rapid response allowed the project that was delayed by discovery of the waste to recover some of the schedule delays. 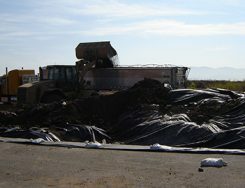 Organized removal of hazardous waste to the US Ecology landfill in Beatty, Nevada. 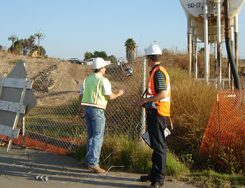 Performed air monitoring during removal to demonstrate that there were no adverse effects to the community.